ABB was tapped to supply integrated power and electric storage solutions to the Icelandic Road and Coastal Administration’s new electric ferry, the nation’s first. 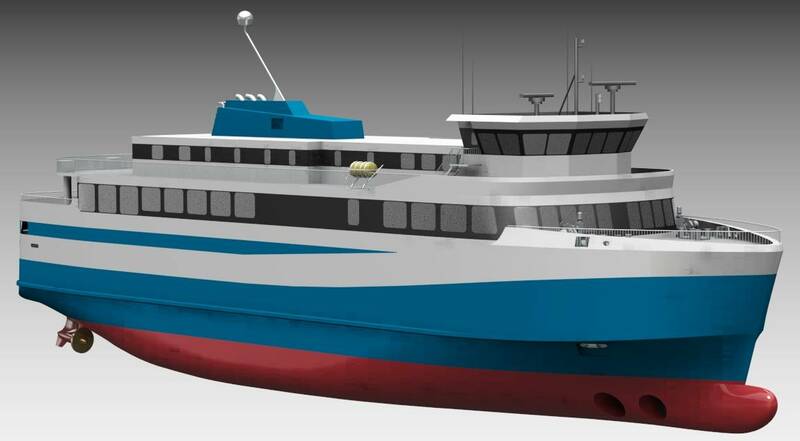 When delivered later this year, the 70m ferry will be able to take up to 550 passengers and 75 cars on up to 3,600 annual trips in the rough waters between Landeyjahöfn on the mainland and the Westman Island, covering eight-mile route in about 45 minutes. 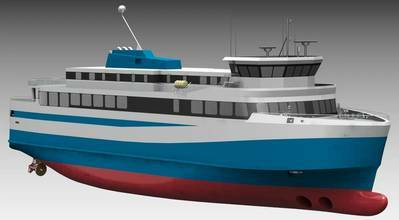 The ferry is designed by Polarkonsult and is being built at the Crist S.A. shipyard. It will feature a large battery pack (3000kWh) and is designed to operate in a fully electric mode for most of time, with onshore charging in both harbors, with an estimated average charge time of 30 minutes. During particularly challenging weather conditions, when the consumption of battery power may exceed the available energy, the ferry will use its diesel-electric generator set. The electric ferry replaces MF Herjólfur which was built in 1992, and is in step with Iceland’s mandate to promote electric modes of transport. ABB’s power distribution system Onboard DC Grid is designed to ensure the high efficiency of the new ferry by allowing the batteries to connect directly to the DC link, which helps avoids losses of power during charging and discharging. In addition, the system can allow for variable speed operation of the diesel engines, which results in reduced fuel consumption. The scope of ABB supply also includes generators, transformers, switchboards, the Power and Energy Management System (PEMS) and the Energy Storage Control System (ESCS). The ferry will be connected to ABB Ability Collaborative Centers Infrastructure. This network uses remote equipment monitoring and data analytics to enable remote technical support, as well as predictive maintenance and planned interventions.